Happy Friday! I have a another new to me indie brand to share with you today. The Vegas Nights duo is made my Cassandra of Sweet Heart Polish. This is a duo made for Cosmoprof, but fear not, these polishes are actually available for you to purchase! 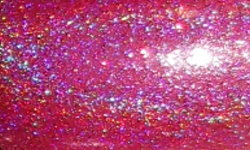 Jubliee is a pink linear holographic polish with red micro holographic glitter. Believe is a black linear holographic polish with purple and blue micro flakes. Collection: Sweet Heart Polish Vegas Nights Duo Summer 2015. Color: These are both great colors. 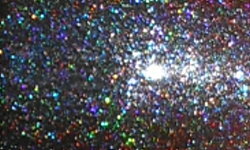 I love seeing black holos. I haven't seen many lately, and it's nice to see them now. Plus, I'm craving some darker colors in these oppressive summer months. I also love seeing pink represented! Formula: All of the formulas were nice and easy to use. I found Believe a bit sheer on first application, but it was fully opaque in 3 coats. Jubilee was opaque for me in 2 coats. Price: This duo is $20 on Sweet Heart Polish's etsy site, or you can buy them individually for $10. Overall: The Vegas Nights Duo is a great duo with 2 beautiful polishes. I love the color choices and they both had nice formulas.